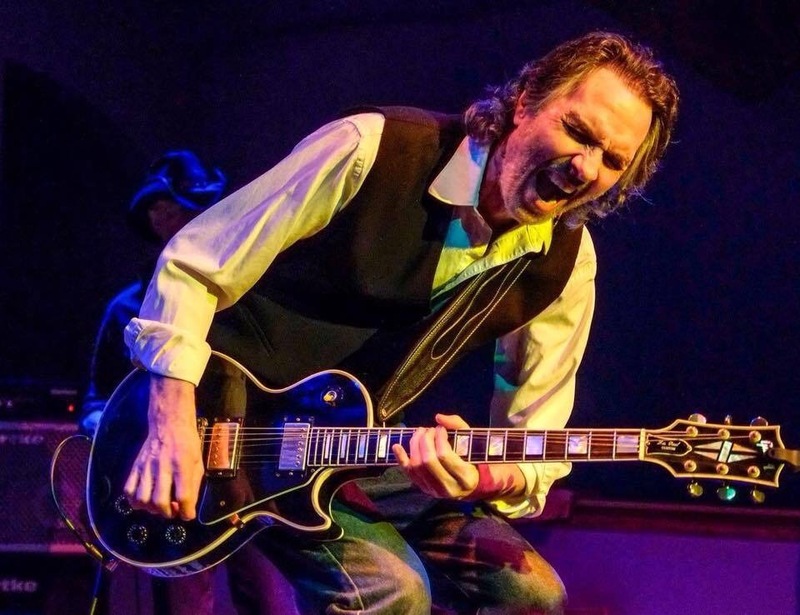 Guitarist Jim McCarty has two new releases debuting this summer. Guitarist Jim McCarty has enjoyed a love affair with his Gibson Les Paul for decades. It has been over 50 years since he began his recording career as a member of Mitch Ryder and the Detroit Wheels, the powerhouse band that produced hits such as "Devil with a Blue Dress On/Good Golly Miss Molly," "Sock It to Me - Baby" and "Jenny Take a Ride." But McCarty, who just turned 71, isn’t living in the past. He remains a vibrant live performer and is still creating music and inspiring new generations of rock and blues guitarists. “At this stage of the game, the physicality of the thing is the biggest issue,” McCarty said. “When you get to be my age, physical problems rear their ugly head. McCarty has two new releases debuting this summer. 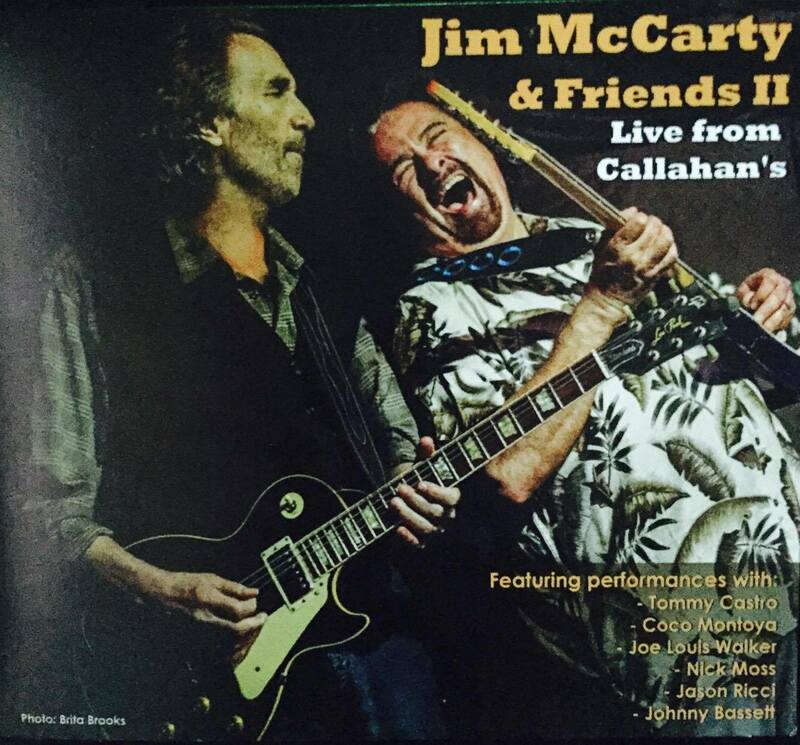 “Jim McCarty and Friends II - Live From Callahan’s” will be celebrated with a CD release party on July 15 at Callahan’s Music Hall in Auburn Hills. The new release by McCarty’s blues rock band Cactus, “Black Dawn,” debuts in August, followed by a mini tour that includes a performance at the Magic Bag in Ferndale on Sept. 17. 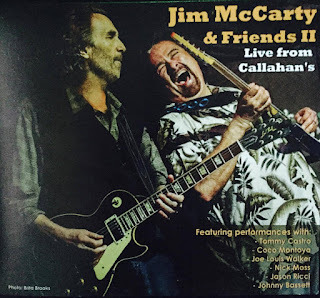 “McCarty and Friends II” features McCarty recorded jamming live on stage with internationally known blues artists such as Coco Montoya, Tommy Castro, Joe Louis Walker, Nick Moss and Jason Ricci. The impromptu jams took the musicians out of their comfort zone and produced some magical moments. “When you’re jamming, you’re on the edge of the cliff and anything can happen,” McCarty said. “Most of these bands on the CD have one guitar with a keyboard player. With me, they have two guitars and there’s more energy and we punch each other up. Something exciting almost always happens. “The track with Tommy Castro is a good example. He’s a big Mitch Ryder and the Detroit Wheels fan and he just yelled out ‘key of C’ and started playing the ‘Jenny-Jenny/Good Golly Miss Molly’ thing off the top of his head. I said to myself, ‘Whoa!’ I didn’t even realize that was what he was doing until he started singing. McCarty describes the perfomance of “Everyday I Have the Blues” featuring Johnnie Bassett and McCarty’s longtime bandmate Rick Stel as “really special.” Both Bassett and Stel have passed on since the recording. McCarty, who is not to be confused with The Yardbirds drummer who shares his name, has had an extensive career that includes stints with the Buddy Miles Express, The Rockets, the Detroit Blues Band, and his current group Mystery Train. He’s recorded with Jimi Hendrix and Bob Seger. In 1970-71, he played his first stint with the rock “super group” Cactus, dubbed “the “American Led Zeppelin” by Creem magazine. The band reunited in 2006 (with former Savoy Brown frontman Jimmy Kunes replacing the late Rusty Day on vocals) and released the studio album “Cactus V.” McCarty left the band in 2008, but rejoined in 2011. The new CD by the reunited Cactus has McCarty as excited as a school boy hearing the recess bell. The current Cactus lineup features original members McCarty and drummer Carmine Appice, 69, who is also known for his work with Vanilla Fudge, Rod Stewart, and the power trio Beck, Bogert & Appice with guitarist Jeff Beck. According to McCarty, they continue to rock hard. McCarty plans to keep rocking as long as he can continue to play. “At this stage of the game, you don’t have quite the energy you had when you were 25 or 30, but the trade off is there is more maturity and weight on the notes. You’re not playing quite as many notes, but they have more meaning. Hey, Jimmy, how about your bass player, Pete Bremy, with Cactus? Just saying.